Ross River is a community situated near the junction between the Canol Road and the Campbell Highway. It served as a trading post and an access point to the Dena Cho Trail, a route used by the Kaska people. Today, Ross River is an important service station and access point for those traveling on the Canol Road. It is home to about 400 people. The Ross River Dena Council is a First Nation in the eastern Yukon Territory in Canada. Its main centre is in Ross River, The language originally spoken by the people of this First Nation was mainly Kaska, although a number of the First Nation’s citizens are Slavey speakers. The First Nation, which has 483 registered members, is a member of the Kaska Tribal Council which is pursuing land claims in the Yukon and northern British Columbia. The school’s programs and their delivery are designed respond to students’ unique cultural, emotional, and intellectual needs. They are driven by Kaska tradition and influenced by native philosophy. Students’ security and safety remains priority. Learning is child centered and learning outcomes are defined by child abilities. The school believes that healthy emotional growth and desirable social interaction are the basis for sound intellectual development within students’ potentials. There are 60 students enrolled for the 2016/17 school year. They are in K 4 to Grade 12. For more information about the school visit rrs.yukonschools.ca. The school operates a breakfast and morning and afternoon snack program. 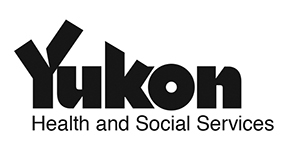 The funding that the school receives from Yukon Food for Learning Association is provided by Yukon Health and Social Services and Breakfast for Learning. They serve about 35 students per day.